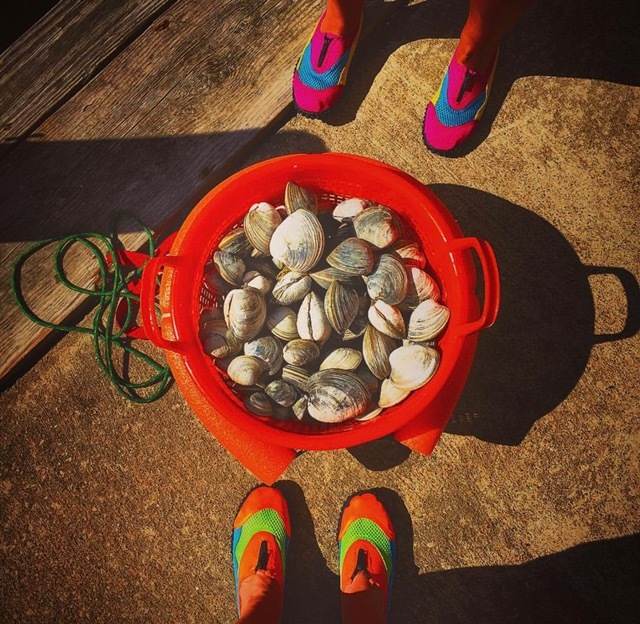 Last week I wrote about my love affair with fresh tomatoes and pesto, but what would summer cooking be without seafood? Seafood transports me to the Outer Banks, my family’s summer vacation destination, and the seafood risotto my mom would whip up with her bounty from the local seafood market. For my husband, blue crabs are his summer seafood of choice, as he grew up in Maryland and summer memories always include crabs and Old Bay with family and friends. A few weeks ago, I was in Hilton Head, South Carolina, for a girls’ weekend with the ladies of Jake’s family. I came across Curtis Stone’s Good Food, Good Life cookbook at one of the local shops and was intrigued by the flavorful recipes that popped off the pages. I was even more intrigued by the limited cooking times the majority of the recipes required. I’m always on the lookout for recipes I can make quickly during the week that don’t sacrifice flavor for time, so the cookbook was definitely making the trek back across the country with me. 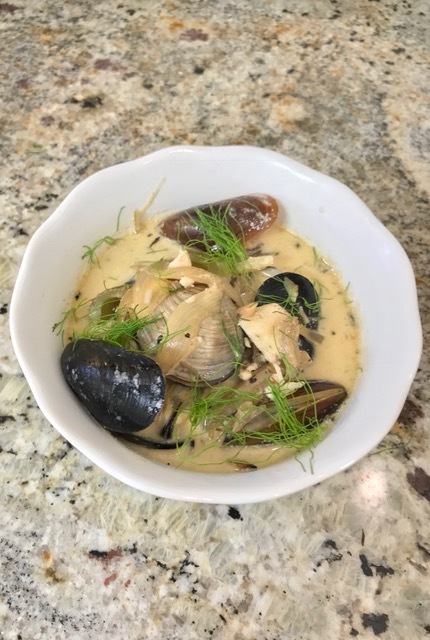 One of the recipes that immediately grabbed my attention was Curtis’ seafood stew with cream and fennel. I’m not sure why, but cooking shelled seafood like mussels and clams has always intimidated me. 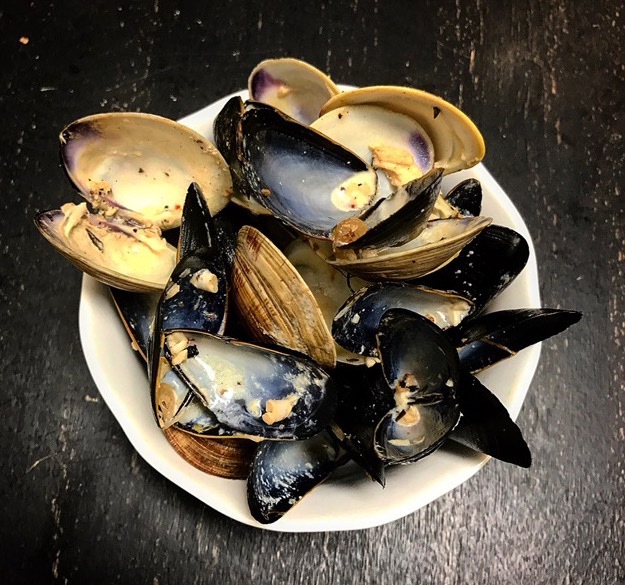 If you asked me to debeard a mussel, I wouldn’t even know where to begin. However, this particular recipe looked manageable and I decided it was time to overcome my petty fear. 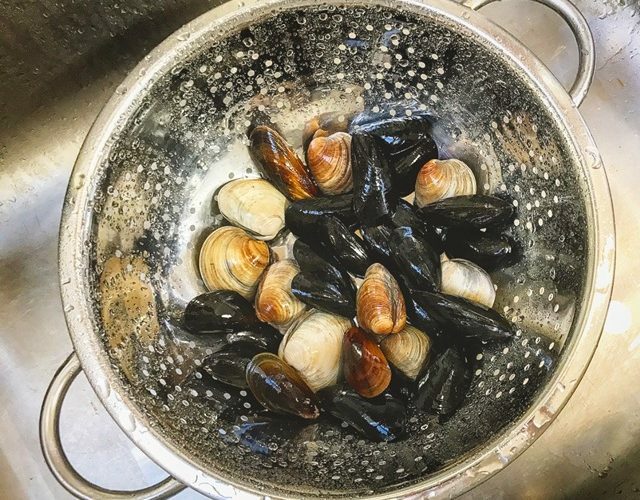 Unfortunately (I say this with a hint of sarcasm), when I went to purchase the ingredients for the recipe, I found out our local market fully cleans mussels and clams, so I didn’t get a chance to teach myself how to properly clean both this go ‘round. Shucks! Anywho, with the seafood prep taken care of, the overall cooking preparation for the stew proved to be a snap. This was much appreciated, as the Saturday night I made the stew, we had a beautiful day in San Francisco (rare during summer months here) and it gave me more time to soak up the sun and blue skies on our deck. If this recipe is any indication how the rest of the recipes in Curtis’ cookbook are, Jake and I are in for a treat. This was further indicated when Jake quickly devoured his bowl of stew and went back for seconds—a telltale sign a meal is a hit with him. In a heavy 8-quart pot, melt the butter over medium heat. Add the onion, celery, fennel, garlic, rosemary, thyme, black pepper, red pepper flakes, fennel seeds, and bay leaf and sauté for about 10 minutes, or until the vegetables soften. Add the wine and simmer for about 2 minutes, or until reduced by one-fourth. Add the broth and water, bring to a simmer, and summer (err, simmer) for about 20 minutes, or until the flavors have blended. Stir the cream into the broth, bring to a simmer, and simmer for 5 minutes. Season the halibut with salt and pepper. 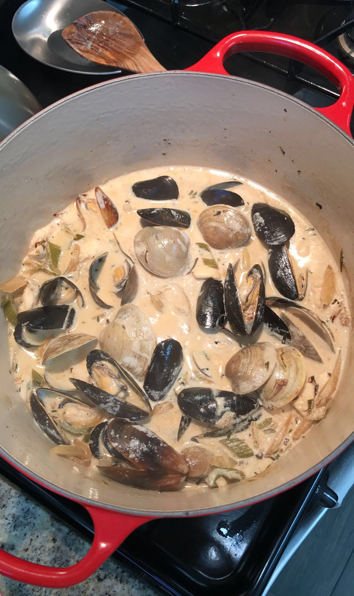 Add the halibut, mussels, and clams to the simmering broth and simmer for about 5 minutes, or until the clams and mussels have opened and the halibut is just cooked through and opaque. Divide the soup among bowls, garnish with the reserved fennel fronds, and serve. 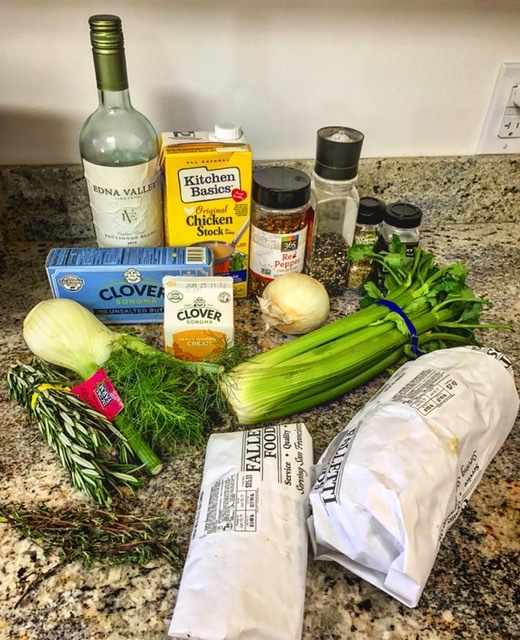 Looking for a delicious Summer crockpot recipe? Check out last week’s Summer Friday recipe here.